Yay! I always get excited to see this deal, and we don’t see it too often! This one is for Ranger Rick Magazine…. my kids LOVE this magazine, and I loved it as a kid! 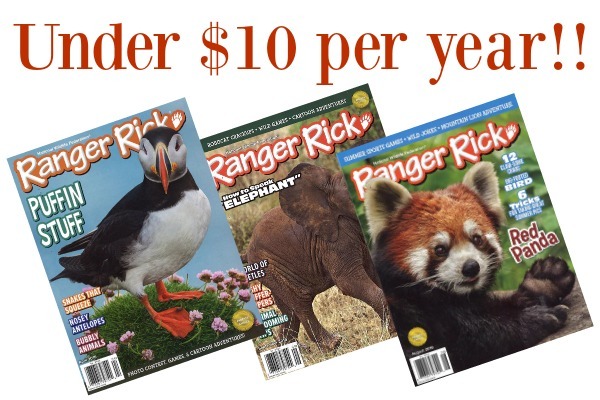 Right now, you can get a ONE year subscription to Ranger Rick magazine for $11.99 when you use coupon code SHESAVED at checkout. You CAN’T beat this awesome price…this deal is good through 2/8 so hurry! « *HOT! * Magnets for as low as $3.50 Shipped! !